This is the second of a series of four books on marketing. 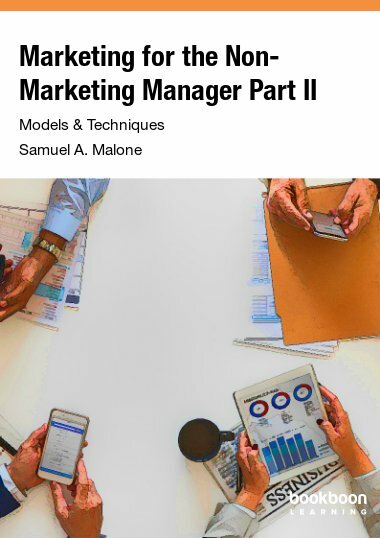 Non-marketing managers need to know the models and techniques of marketing. This is the second of a series of four books on marketing. Non-marketing managers need to know the models and techniques of marketing. They need to be familiar with segmentation and the product diffusion curve. They need to understand Porter’s five competitive forces and be totally familiar with the marketing mix and how pricing strategies are used to enhance a business’s profitability. They need to be conversant with the AIDA, DAGMAR and Growth Share Models and understand product market strategies and how the product life cycle operates. This book fills that gap.